At JB's on 41, we have many different bowling leagues for casual, competitive, and social bowlers. Traditional bowling leagues are sanctioned and include different scoring methods like Handicap or Scratch and run throughout the year typically with a cash prize fund. Short-season leagues offer a variety of premiums and prizes than traditional leagues and are for every skill level. Short-season leagues are always forming, so if you are interested in joining a traditional or short-season bowling league, look no further. 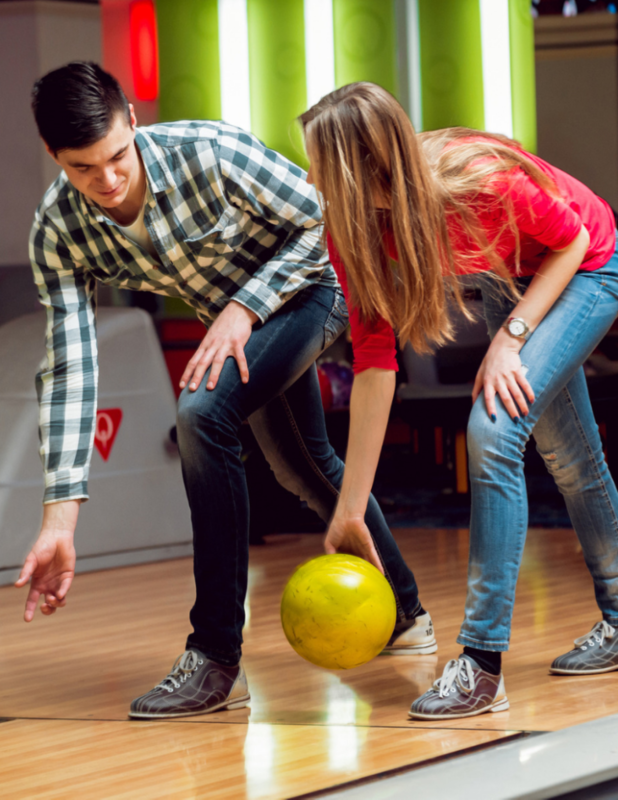 Leagues are a great time to bowl with friends, coworkers, or family. We have the right league for you. We organize adult leagues and you can form your own league. Looking for something fun to do with your friends this spring? Need to add fun to your calendar without breaking the bank? 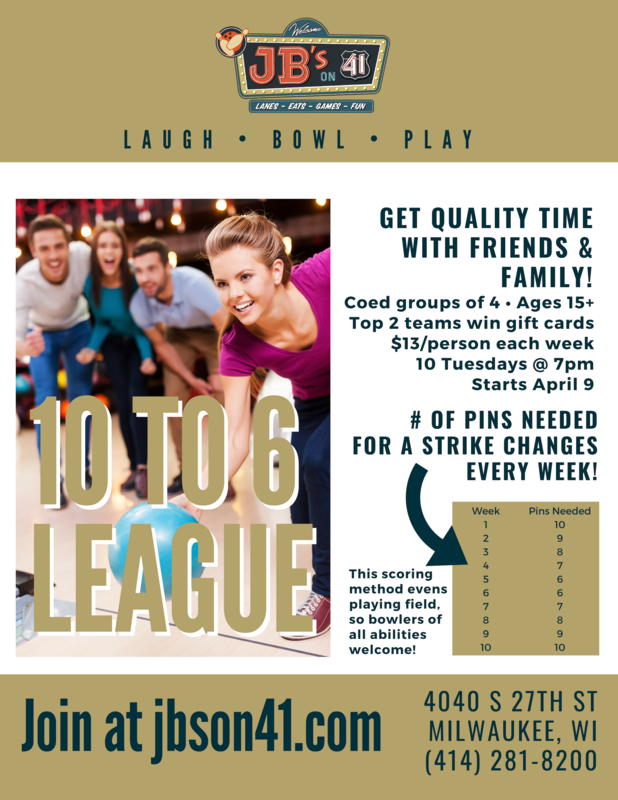 Enter: JB's latest social club, 10 to 6 Bowling League! All abilities welcome - new scoring method = anyone can win! Want to stay connected to your friends and family over the summer? Or are you looking to compete in a fun atmosphere? Enter: JB's Summer Casino Leagues, starting May 22 & 24! End the season with a casino party on August 28, featuring black jack, roulette, tables, scratch-made dinner, luxury bowling in Suite 41, many ways to win & much more! Completely new to bowling? Or you're considering a bowling league but need help perfecting your approach? JB's provides bowling lessons for all ages and abilities! With Bowling 2.0, you'll learn the language of bowling, apply techniques, and get taught by a coach over 4 weeks. You'll get a new worksheet and practice each week. Our next Bowling 2.0 session starts Tuesday, April 30 at 7pm.